When Aldous Huxley wrote the classic The Doors of Perception few people had ever heard of mescaline. Timothy Leary followed with an amazing career that began at Harvard and continued in the entertainment and pop culture world, advocating the use of LSD. Then came Howard Lotsoff and the crunch to break addiction with ibogaine. All three are connected and all three are part of a larger picture. The connection between Huxley and Leary is clear because both advocated experimentation with hallucinogens. The ibogaine story is slightly different because on its face it argues against drug use;—but ibogaine itself is a hallucinogen, albeit one that breaks addiction to cocaine, opium, heroin, and alcohol in one dose. 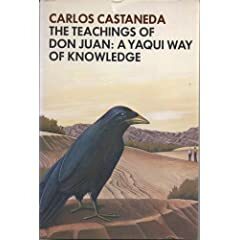 Someone needs to write a book about the connection here, and throw a little Carlos Castaneda into the mix.